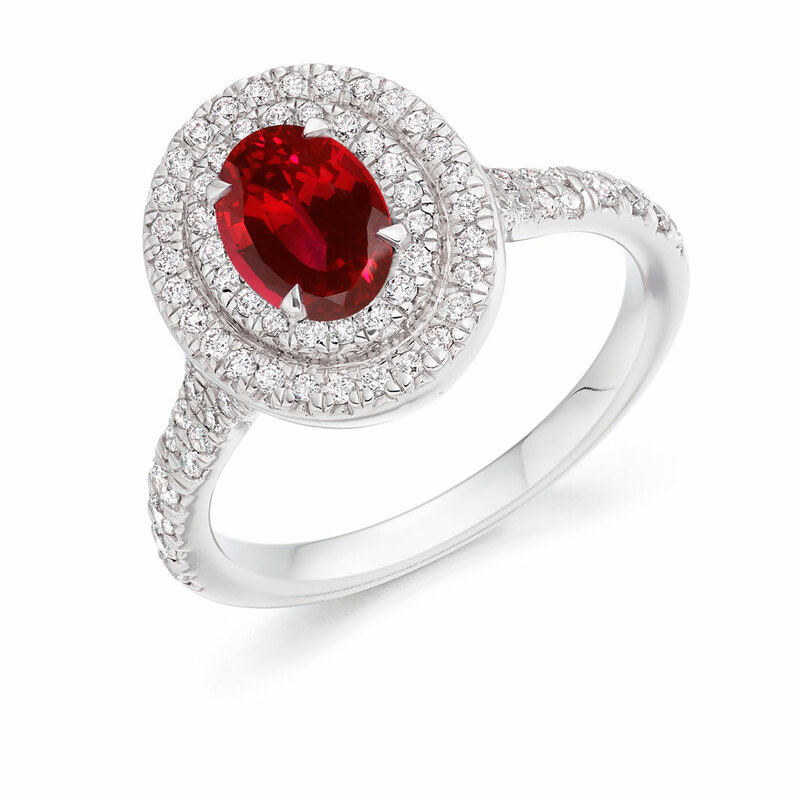 Be the centre of attention with this resplendent ruby ring. Often referred to as the King of Gemstones, this wonderful oval ruby showcases a deep blood-red colour and crystalline appearance. Embraced by not one, but two rows of scallop set diamonds, leading to a diamond set band, this engagement ring will stand out from the crowd. At Voltaire Diamonds, we aim to provide a comfortable and exciting service for one of the most special purchases in your lifetime. Please contact us to arrange an appointment to visit our offices just off Grafton Street, where our consultants will be delighted to assist you in creating your dream engagement ring.